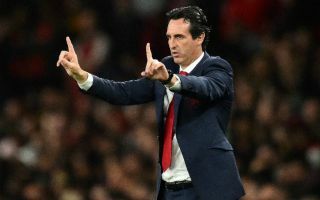 Arsenal look a happier team under new manager Unai Emery this season since the Spaniard came in to replace Arsene Wenger as manager at the Emirates Stadium, according to pundit Garth Crooks. The Gunners won their 7th game in a row this season as they scored two late goals against Watford at the weekend, with Mesut Ozil having another strong game under Emery. The Germany international was surprisingly picked as captain after Aaron Ramsey and Petr Cech went off against Watford, and Crooks believes this might actually have been a masterstroke from the manager. Ozil doesn’t immediately strike one as captain material, as he’s long been known for being a quality performer but not exactly one to take a game by the scruff of the neck and deliver when it matters most. Still, Crooks says giving players more responsibility can bring that out in them, as it seemed to do for Ozil against Watford. ‘Did I see Mesut Ozil wearing the captain’s armband? Now there is innovation. Well done Unai Emery,’ Crooks wrote in his BBC Sport column. ‘If you want more out of your player then give him more responsibility. ‘I must say Arsenal look a much happier bunch under Emery.